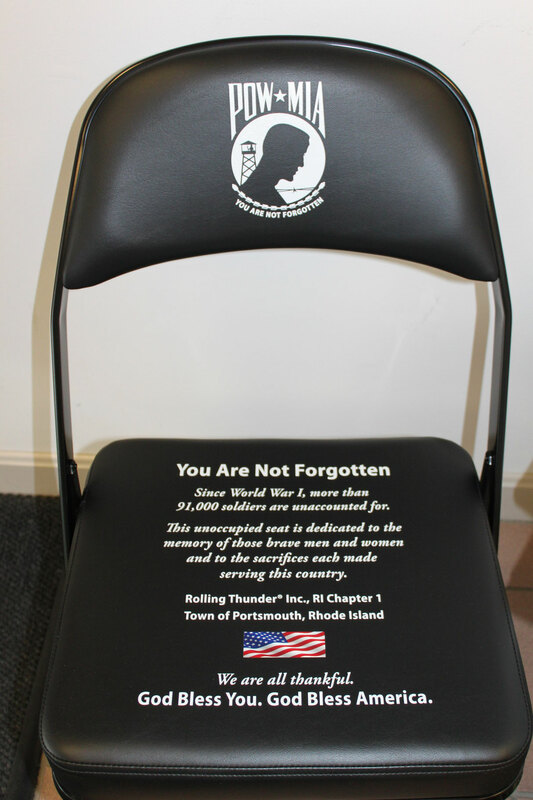 POW/MIA Chair donated by Rolling Thunder, Inc., RI Chapter 1 at the December 8th Town Council Meeting and the POW/MIA Table was added November 18, 2015 by Carolyn Evans-Carbery (Project Blue Star), Harry Church and Chuck Peterson (VFW, Post 5390). 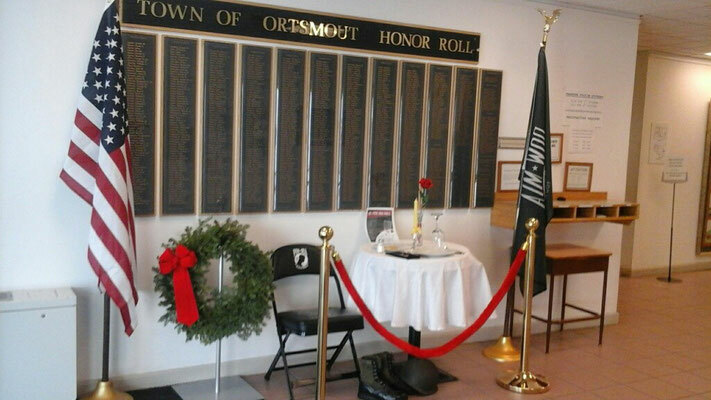 STATE HOUSE – House Committee on Veterans’ Affairs Chairman Jan P. Malik lead a ceremony dedicating a new war memorial at the State House honoring Rhode Island’s POW and MIA military veterans on Nov. 3. 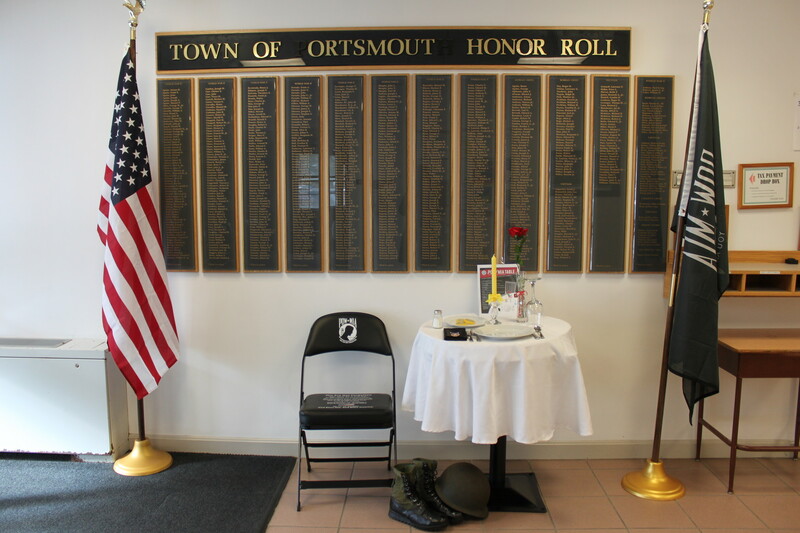 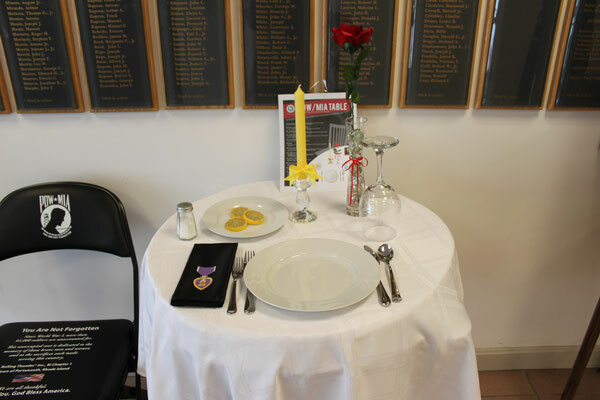 The memorial is a “Chair of Honor” that will always remain empty, honoring Rhode Island’s veterans who never returned home after combat service. 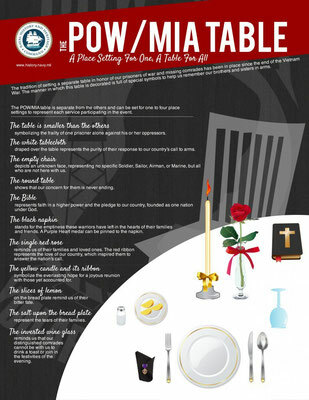 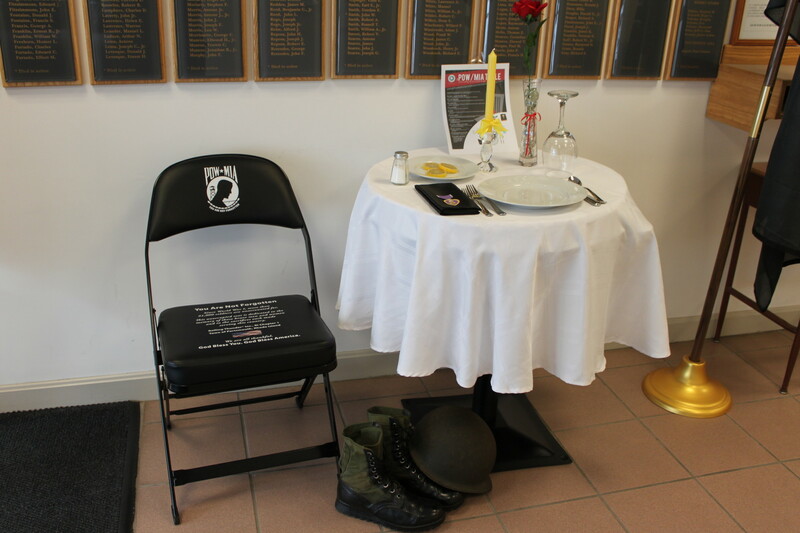 The “Chair of Honor” is a POW/MIA memorial created and donated by the veterans group Rolling Thunder. Rolling Thunder, Inc. is a 501(c)(3) non-profit organization with over 100 chartered chapters throughout the United States. Other “Chairs of Honor” installations are underway in Rhode Island and have already been installed in Gillette Stadium, TD Garden, Fenway Park and the Massachusetts State House.